A world premier recording of twelve highly romantic, emotionally charged pieces that are both melodically engaging and harmonically satisfying. The inspiration for the darker pieces in this recital is narrative - Bydlo and Ballade - follow on in the line of the great piano Ballades of Chopin and Brahms while the miniatures - the 6 Preludes - are exquisitely drawn sound-portraits dedicated to Grant's beloved friends. The Elegy brings together both strands of the recital with the heartrending sense of loss felt at the death of Sir Robert Helpmann interspersed with flashes portraying the fiery temperament and theatrics of the great man. After a prodigious start as a composer, writing his first opera "DARK LOVE" at the age of 16, Grant Foster came to prominence in England and Europe as the composer of so-called "light" music. Among many commissions of this period was his incidental music to Sir Robert Helpmann's “PETER PAN”, a production that ran for seven consecutive highly successful Seasons on the London stage. Foster never abandoned his serious roots bringing to his contemporary classical compositions the conviction that music should engage, entertain and communicate with the audience, while never compromising the composer's highest ideals. 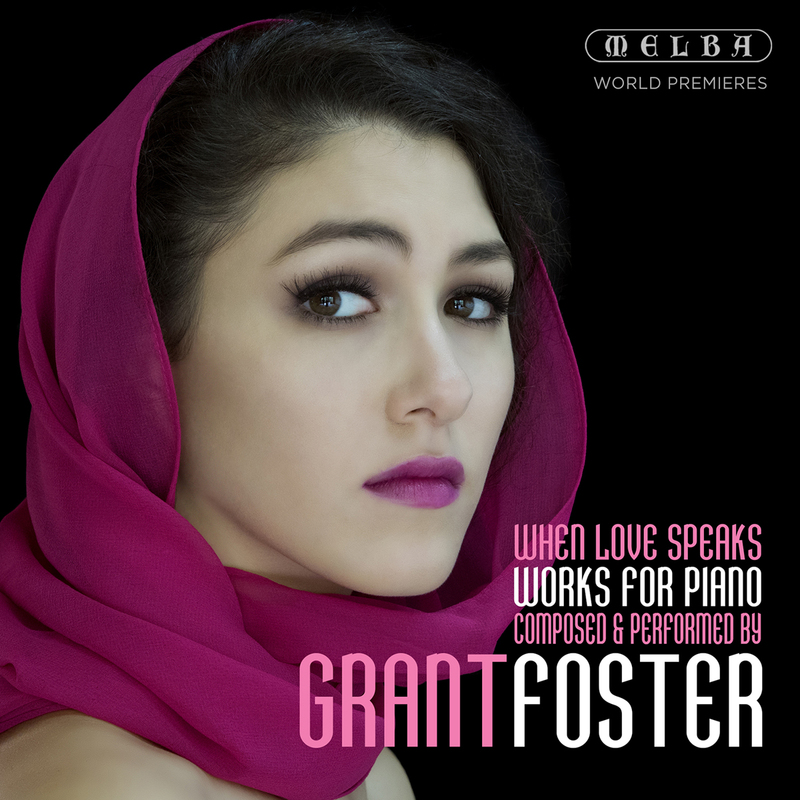 Grant Foster performs his Romance in C# minor, captured live at the recording sessions for his new Melba release “When Love Speaks” which showcases11 world-premieres of Foster’s compositions. Richard Bonyge says "I love his music. 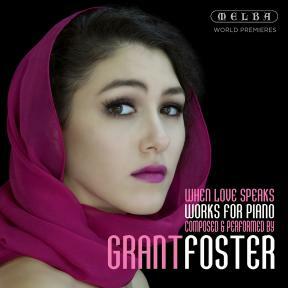 How do you describe the solo piano music of Grant Foster? The titles of the pieces included on this recording – ‘Romance’, ‘Sonata’, ‘Prelude’, Elegy, Bydlo, ‘Ballade’, ­– seem to provide a clue, besides form, to mood and tone but remain teasingly generic and allusive. Knowing that Foster studied with Marcel Ciampi in Paris and was once on the verge of a career as a concert pianist before injury cut it short – “the technical giant Horowitz and, from a musical point of view, Richter” were early influences, he recalls – perhaps offers some intimation of attitude and accent. On first listen, the immediately attractive surface, the limpid lyricism, fluid harmonies, pastel colouring and unaffected directness of expression all seem to tease, with occasional glancing references to earlier composers offering seemingly indicative compass points of their own. But such chimeric echoes, evocative mirages with an alluring gravity all their own, artfully resist reflex comparisons, tantalisingly evaporating as soon as they form. A second listen brings you closer to a truth subsequently confirmed by repeated exposure and succinctly described by Foster himself: “All my music comes from myself”. 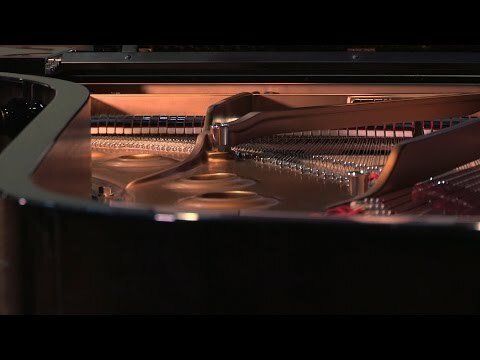 Whatever else may be implied by his titles, however much the notes might coalesce on the ear into fleeting silhouettes deceptively reminiscent of imagined others, Foster’s music is uniquely his own. Attempting to describe it, therefore, is like adding a gloss veneer to a Turner watercolour or inking in colour to a pencil sketch by Rembrandt. It is simply redundant. Taken at face value on its own terms, Foster’s music is technically elegant and emotionally eloquent. “Melody,” he says, “is the backbone of my music.” If it carries itself with a becoming modesty, it is never to the cost of its emotional purpose. Simultaneously fragile and intense, the pieces featured here take their inspiration from direct and indirect experiences, all afforded a compassion that marks Foster out as a composer influenced by both head and heart. The wistful but earnest Romance in C-sharp minor is a response to the poetry of Oscar Wilde; the tumbling menace of Bydlo to an etching by the Dutch artist Geraldine van Heemstra (herself prompted by the music of Mussorgsky); the tremulous Ballade a lyrical paean to the all-consuming contrariness of love; the forthright, muscular Piano Sonata a compassionate cri de cœur against the dreadful human cost of war. Foster’s own emotions are the spur for two works here. Elegy is a plaintive but charged memorial to the Australian dancer, choreographer and director Robert Helpmann, for whom he provided the score for Peter Pan, a highly successful production revived in seven consecutive years in London in the 1970s. The subtly nuanced characterisations of the six Preludes serve as intimately affectionate portraits of friends. In the end, the pertinent question about Foster’s music is not how do you describe it, but what does it make you feel? For this is music full of feeling composed from the vantage point of love. It’s a rare position for a composer to adopt and the music, in all its directness of expression, searing sincerity and heartfelt honesty, is all the more appealing, and affecting, because of it. Makes heaven drowsy with the harmony…”.